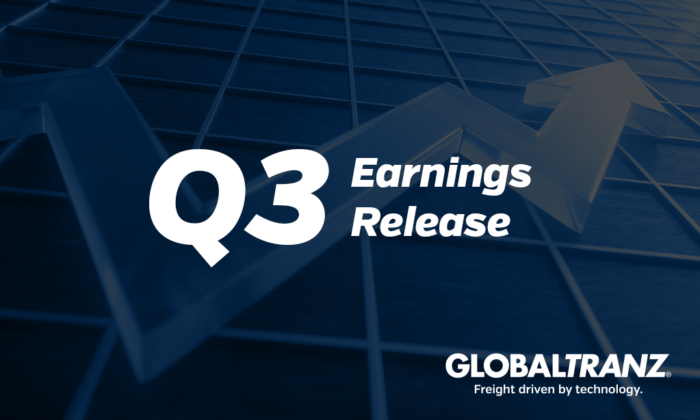 PHOENIX (October 23, 2018) — (BUSINESS WIRE) GlobalTranz Enterprises, Inc., a leading technology-driven third-party logistics (3PL) solutions provider, today reported a third-quarter revenue increase of 30 percent, net revenue increase of 40 percent and EBITDA growth of 120 percent year over year. GlobalTranz is on track to generate over $1.6 billion in revenue in 2018 and continues to outpace many of its competitors in customer expansion, financial growth, and advanced technology leadership. Ongoing organic expansion of existing and new customers, growth in users of the company’s advanced end-to-end enterprise logistics platform and strong performance of transactional and managed transportation solutions drove the company’s third-quarter results.